Former Northview Knight Taylor Carter smacked a home run Saturday during East Tennessee State’s split with Furman. Clay County ball players have been active on the collegiate baseball and softball diamonds at various levels this spring. Former Clay City High School hurler Hunter Wolfe has had some mixed results during his freshman campaign at Purdue University. Wolfe has primarily been used as a reliever this season and has appeared in six games, most recently on April 19. Wolfe opened his collegiate career on Feb. 19 on the road at Texas State as he came in to pitch two and a third innings and allowed just one earned run. The transition from high school to top college competition wasn’t completely smooth however. Wolfe also allowed a pair of home runs during the stint and had two wild pitches and two balks. From there however, he settled in and became an important part of the Boilermakers’ bullpen. The 6’1, 175 pound freshman pitched a scoreless inning against Cal State Northridge on March 10 and then worked three innings to start Big Ten play against Ohio State on the road. Wolfe allowed two hits and an earned run while striking out two. In his home debut, the former Eel went an inning and two thirds against Indiana University, walking three and striking out two. A week later on the road against Rutgers, Wolfe went two scoreless innings to lower his earned run average to 2.70. Ironically however, it was against Indiana State that he had his roughest outing in his only start of the year. Wolfe went three and a third innings, giving up seven hits and six earned runs while striking out four to push his season ERA to 6.08. The Sycamores scored four times via five base hits in the bottom of the second inning. Purdue would eventually rally to win the contest, 10-7. While at Clay City, Wolfe led the team to a regional title as a senior and was named all-state while leading the state with 142 strike outs in 73 1/3 innings with a 1.05 ERA. At the opposite end of his college career, Northview grad Craig Peters is having an excellent senior campaign at Oakland City University. His versatility has enabled him to post a .346 batting average in 40 games this season with 46 hits in 133 at-bats. Peters has a home run and seven doubles with 15 runs driven in and 29 runs scored. As a pitcher, Peters has made 11 appearances with a 3-0 record and a 3.60 earned run average over 20 innings of work. Peters had struck out 15 and walked six for the Oaks. Peters saved some of his best for last as well as Oakland City posted a 10-7 win on Senior Day last week against Lindenwood-Belleville. In that game, Peters blasted his home run while going 2-for-3 at the plate with an RBI and walked twice. He also picked up the pitching victory in relief with three scoreless innings of relief. The 17-23 Oaks head into postseason play May 17-20. The IU-Southeast Grenadiers are in the midst of an outstanding season in 2017 with a 42-11 record overall. Dalton Shaw, who helped lead Northview to a Class 3A state title as a catcher last spring, has started several games for the squad in his freshman campaign. Shaw has made the most of his opportunities to play behind the plate as he has hit .308 in 13 at-bats in seven appearances. Shaw has a pair of doubles and a home run, driving in six runs. At Danville Area College, former Northview pitcher Damon Bass is wrapping up his junior college career for the 26-10 Jaguars. Bass has pitched 11 innings over 10 appearances this season and has allowed seven hits and four earned runs while posting a 3.27 earned run average. Bass has struck out 12 batters and walked four. Against Rose-Hulman, Bass picked up the victory after going three innings and allowing just one earned run and striking out four while walking two in a 16-6 win by Danville. At Lincoln Trail College in Illinois, Nathan Thomas, a top starter for last season’s state champion Knights, is nearing the end of his freshman season. Thomas has made nine appearances in relief for the Statesmen and has posted a 3.18 earned run average over 17 innings. Thomas has a 2-2 record and has allowed 12 hits and six earned runs, striking out 11 and walking seven. 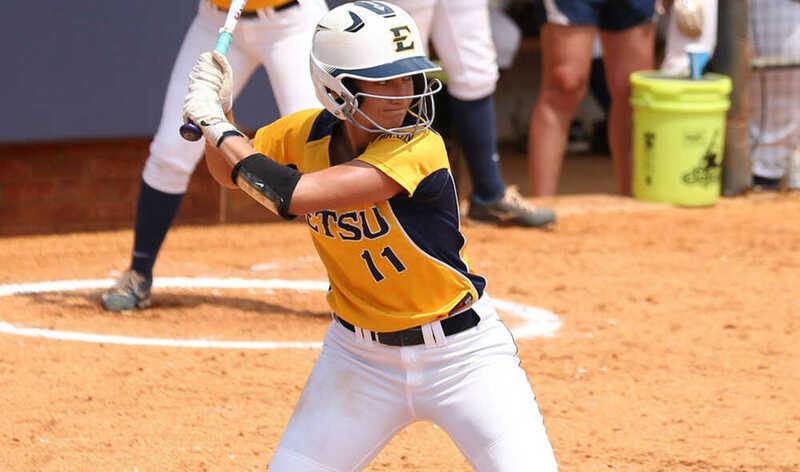 On the softball diamond, former Northview standout Taylor Carter is in the final stages of her senior season at Division I East Tennessee State. Carter ripped a home run, the 31st of her career, which ranks second all-time in program histroy and is two shy of tying Jackie Baird’s record of 33, set in 2014. The Bucs have put together a 23-22 record through Saturday’s doubleheader split with Furman, but Carter has produced a .341 batting average while starting all 45 games this year. She has 127 at-bats and is second on the team with nine home runs and 32 RBI. She has reached base 39-percent of the time and has slugged .606 this season. In 11 conference games this season, Carter has been even better, hitting at a .385 clip with three home runs and 15 hits in 39 at-bats. As a junior, Carter was the only player to start all 42 games and she hit .323 with nine home runs and 26 RBI. She also had 13 doubles, which was the fourth most by an ETSU player in program history. She also pitched 22 innings and had a 4.77 earned run average with two saves. She also earned a spot on the Academic All-Southern Conference Team and to SoCon Honor Roll. Also in Tennessee, King University recently wrapped up its season after being knocked out of conference tournament play. Clay City graduate Raven Allender finished her freshman season for the Tornado having gone 5-1 overall in 11 appearances in the pitching circle. Allender posted a shutout while pitching 40 and a third innings with a 2.78 earned run average. The Tornado finished the season with a 32-19 mark overall and a 15-5 conference record. At Oakland City University, Whitney Jeffers has had a solid season in the pitching circle for the Oaks with an 8-10 record and a 2.96 earned run average in 20 appearances. 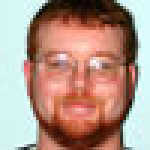 Jeffers has also started 17 games and thrown 113 innings with 55 strikeouts and just seven walks. 18 at-bats and has a .333 batting average, two walks and a run scored.